An attractive and creative custom tap handle is a great way to make your company stand out against the many other beer companies behind the bar. Enhancing your brand’s visibility with a custom tap handle will undoubtedly create brand awareness, resulting in increased revenue. Tap handles can be made of resin, wood, acrylic, ceramic, polyurethane, or epoxy. 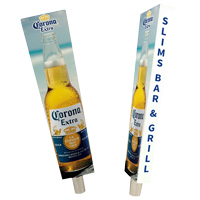 Bar Rail Mats powered by The MRL Group can custom design a tap handle in any shape, size, design, or color. 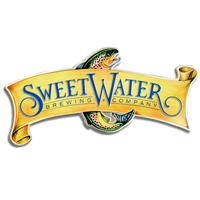 We have years of experience in designing and manufacturing tap handles, which is why we are able to provide our customers with the highest quality tap handle that meets any budget. Metal tacker signs are durable and inexpensive means of advertising. Made of aluminum, steel, or stainless steel, metal tacker signs grab the attention of your customer quickly and efficiently. Metal tacker signs are lightweight and can be easily customized. Decorating techniques include embossing the metal, die cutting, laser engraving, screen printing, litho printing or digital printing. Bar Rail Mats powered by The MRL Group is a leading manufacturer of metal tacker signs; contact us today to turn your vision into reality. Bar Rail Mats powered by The MRL Group designs and manufactures exceptional wood displays such as wood floor displays, wood liquor displays, wood wine racks, wood counter displays, permanent or semi-permanent wood displays, wood flight trays, wood back bar displays, and wood product displays. 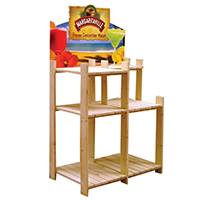 Wood displays help promote your brand and strategically display the product. Our wood displays are made from solid, natural wood species, which is a diverse material that can suit any of your specifications Bar Rail Mats powered by The MRL Group is committed to providing our customers with exceptional service and superior wood displays that will get noticed. Bar Rail Mats powered by The MRL Group designs and manufactures a wide range of high-quality flight displays that meet any style, size, design or material. 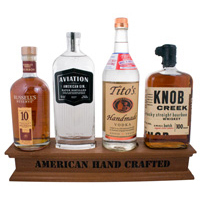 Our flight trays can be manufactured from wood, acrylic and even metal, and are easily imprinted with your company’s logo. Bar Rail Mats powered by The MRL Group understands that it is important to have a flight display that can be custom ordered to your exact needs, why is why we are committed to providing our customers with distinct flight trays that will help their brand stand out. Contact Bar Rail Mats powered by The MRL Group today to custom order a flight tray that will suit your needs and budget.